This 37.6mm. Zenith El Primero with original tri-colured dial, original crown and famed high-beat ZENITH movement is a rare beast. Zenith says they produced no more than 2500 of these watches. 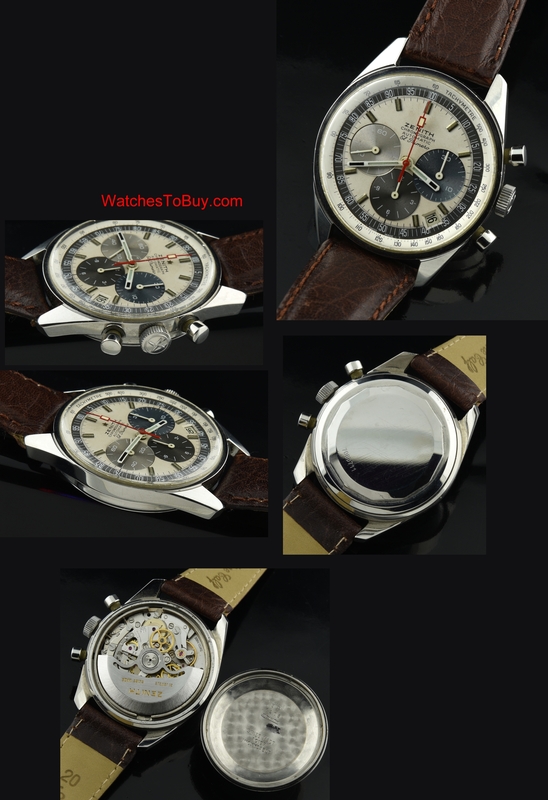 This is a VERY important watch in the world of watch collecting and this example is stellar. The hour and minute hand are slightly green and may have been replaced many years ago, whereby the markers are dark. The second hand may have been replaced with the correct ZENITH replacement due to the lighter lume…either way, it’s all amazing. The case is without and dings or flaws and was polished at some time. 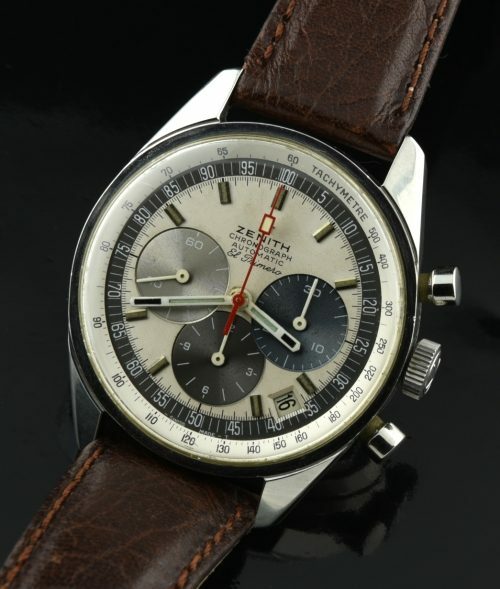 The automatic ZENITH high beat movement was considered to be the FIRST automatic chronograph made. We have not cleaned the movement-is keeping time and working perfectly. This watch is a true GRAIL watch and I highly recommend you buy it fast.